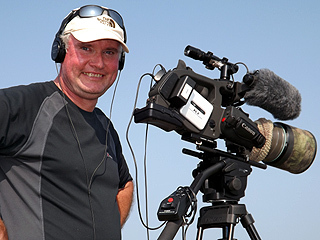 Between 1994- 2011 Andy Hirst was involved in filming and sound recording birds on several continents for BirdGuides Ltd. Planning and executing filming trips to the United States, Canada, Israel and throughout the UK, filming target species for BirdGuides products and archive of bird footage. Originally using Hi 8 and progressing to Mini DV, with experience of Digi-Beta SP & 35mm film. Because BirdGuides was a small company, Andy undertook many roles involved with video, DVD & CD/ DVD-ROM production. From planning and filming the initial footage, to logging, clipping, processing and editing the video & sounds, to outputting to CD-ROM/ DVD or the web, as well as compiling products & overseeing their production s Production Manager. Now, using this experience Gone Birding can from concept to final edited product, undertake commissions for short films or specific wildlife footage and output to a variety of formats, with video suitable for Apps, DVD, Mobile platforms, Websites or for Broadcast. 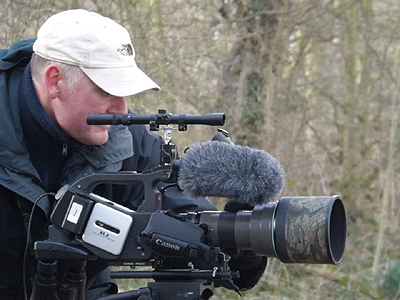 We specialise in filming wildlife and especially birds, using years of experience and expertise. We have the latest equipment for wildlife filming being relatively light and portable, with broadcast quality images, as well as a digital computer based editing suite. With excellent knowledge and experience of UK & European birds we can undertake commissions to film specific birds in habitat, or capture desired behaviour. We use Apples editing, sound production and DV authoring software Final Cut Pro on a fast Mac.